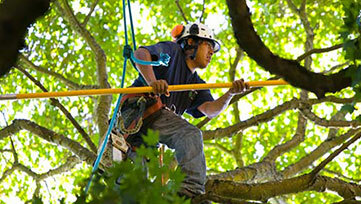 Bens Tree Service is committed to providing quality tree work in a safe and efficient manner. Our goal is to establish long term relationships with our customers and provide our customers with the highest quality of tree care. We strive to educate our customers and the community about the value of trees and how to enhance their health through proper tree care practices. We provide our team members with a safe work environment and the equipment and training they need to work safely. Ben’s Tree Service Pty Ltd is a Darwin based company specializing in tree removal, tree lopping and pruning, stump removal and grinding. We offer a professional service. Office open from 7am to 5pm. © 2017 BEN'S TREE SERVICE. All Rights Reserved.